Scars and stretch marks are formed by the damage of the dermal layers of the skin resulting from a variety of causes including, cuts, burns, acne, pregnancy, rapid growth or weight gain and surgery. All scar tissue has the same collagen as the surrounding area but the composition of the scar is different to the surrounding normal tissue. Normal collagen fibres form bundles with a basket weave effect that gives tone and strength to the skin. Atropic scars are sunken scars where the dermis has been thinned and are common in acne sufferers where they take various forms Rolling, Boxcar and Ice pick are descriptions of common types of atropic scars. Keloid scarring results from excessive regrowth of collagen around the wound site which results in a raised scar formed from stiff bundles of collagen. Keloid scarring occurs more frequently in darker skin types. Pigmentation scars are not really a scar and will fade in time if treated, they usually result from the trauma caused by severe nodular acne or a skin condition e.g. Impetigo. Stretch marks are a type of atropic scar and happen when the skin is pulled by rapid growth or stretching. The rapid growth can cause the skin to over-stretch and break the fibres. The tears in the skin surface (dermis) allow the blood vessels below to show through, which is why stretch marks are often red or purple when they first appear. Treatments to help reduce and repair scarring and stretch marks include. 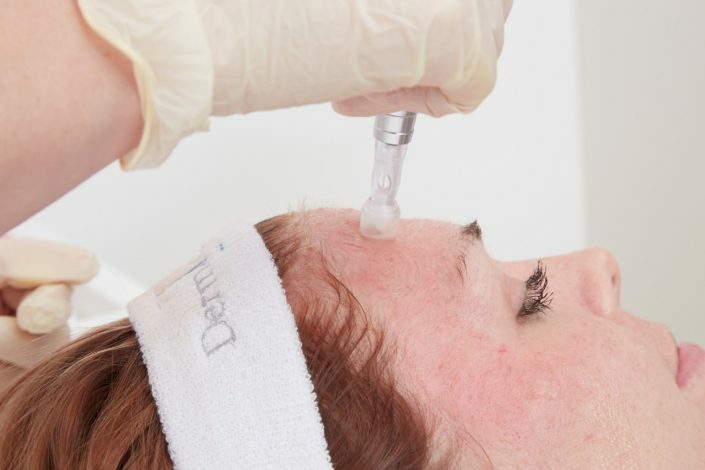 Micro needling or Micro needling with RF helps the skin regenerate and repair itself naturally and safely, creating smoother, brighter, healthier, younger-looking skin and improving the appearance of scars. Er:Glass Laser (erbium glass fibre) is used for skin resurfacing and the treatment of surgical and acne scars, stretch marks and wrinkles. It is suitable for all skin types, and helps achieves a smoother complexion with lasting results with improvement to overall skin tone, elasticity and texture. 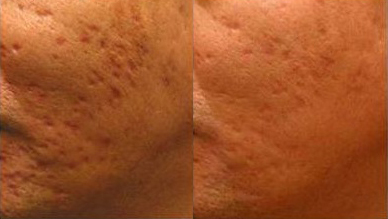 Peels are a useful alternative for use in the treatment of scars and can also be used in combination with other “non-ablative” treatments in order to obtain optimum results. 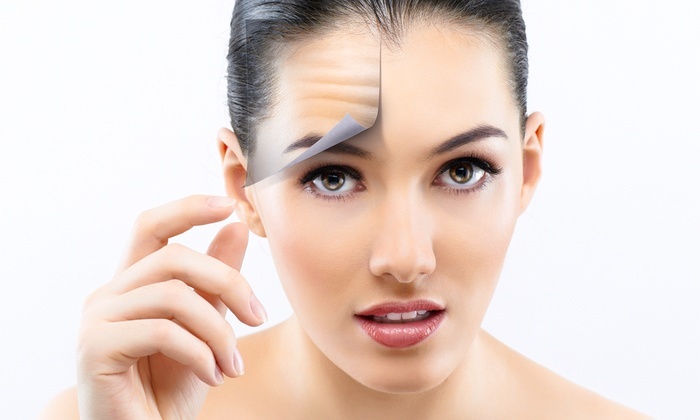 We also offer a combination treatment using both our Spectra 1550, and SkinTyte machine. This is the perfect treatment for those unhappy with their post-pregnancy bodies. The Spectra 1550 laser treats the scarring, and the SkinTyte machine uses HiFu technology to tighten any skin laxity, and to breakdown stubborn fat.